It only took a couple writing assignments for us to know that Kathy Zhou would be a SLUG Mag gem. 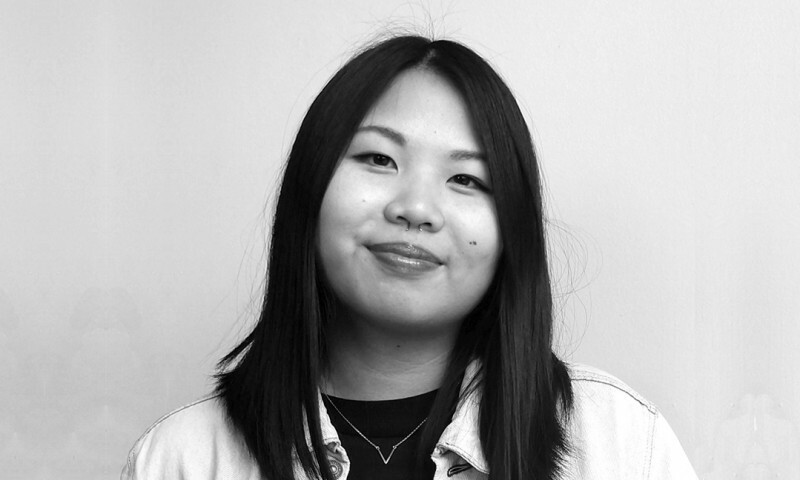 Kathy came onto the SLUG writing team in December of 2014, and her elegant writing, refined self-editing skills, attention to detail and artistic eye quickly illuminated that she’d make for a stellar Editorial Intern. Since the onset of her internship in February of 2015, Kathy has become an invaluable in-office team member who helps streamline the editorial process by organizing content and other information that pulses through the veins of SLUG. She soon joined the copy editing team, and has applied her keen eye for many documents that SLUG has published. Kathy has nurtured her knack for writing about the art world, and continues to do so in her interview feature of Slamdance poster artist Rosie Lea on pg. 28—also read her features about María Magdalena Campos-Pons and God Hates Robots on slugmag.com. We couldn’t be more proud to have Kathy on Team SLUG.